'​​I am the Site Manager at Oaktree Nursery. I started working for the company in 2008 and enjoy working with plants as well as with the new people who come to the site every year. My motto is organisational planning at work. 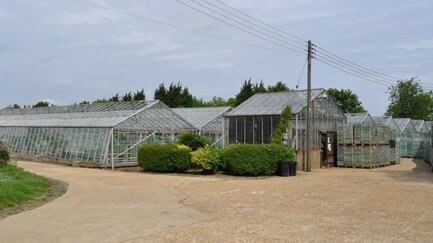 ​Oak Tree Nursery is one of Edward Vinson Plants Ltd sites located in Virginia Water. We produce here around 1.3 million strawberry potted plants, 80, 000 strawberry mother plants and 3 million strawberry tips every year. The busiest time at the nursery is summer when we have 36 staff on the site and when we cut/plant tips. 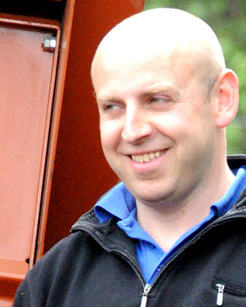 ​​'Georgi Dimitrov is the Site Manager of Turnhouse and Newdowns Nurseries. ​He started working for the company in 2003 as a seasonal worker and progressed through the ranks. 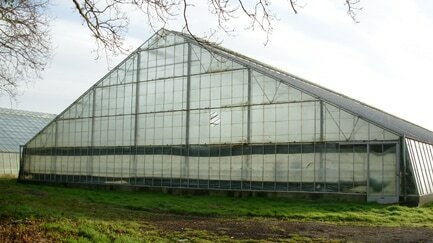 ​The 1.4 hectare Turnhouse Nursery is situated at the most Eastern part of Kent near the quiet seaside town of Deal. On a clear day you can see the shores of France across the Channel. The nursery is busy for 11 months of the year and has accommodation space for 42 people, mostly in a double touring caravans but also a beautiful 4 bedroom bungalow with a large garden. Here at Turnhouse we have the largest number of strawberry motherplants out of all our nurseries. 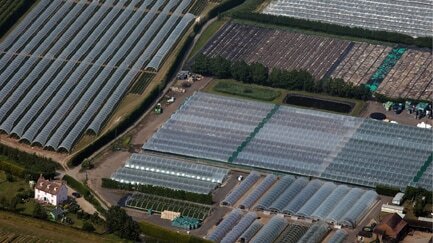 This year the site produced over 4 million plants. ​​Newdowns Nursery is located very close to the historic town of Sandwich (yes, Sandwich, the birth place of the sandwich..) and it’s only meters away from the world famous St George’s Golf Club. 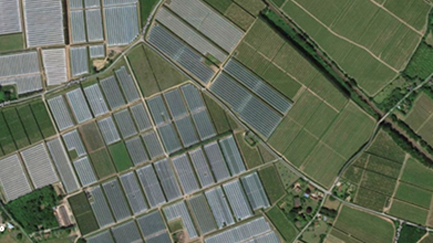 The site has 4 multi-span polytunnles and almost 1 hectare of open-field grown strawberry plants. Newdowns Nursery has no living accommodation and the work here is carried out by staff located at Turnhouse Nursery only a 15 minute drive away. ​Norham Farm is based in Selling, near Faversham in Kent. On an area of 4,5 ha we are growing strawberry potted plants and raspberry long cane on other 4 ha. During the year up top 50 people are working daily on the site preparing the fields , planting and growing the plants - spraying, irrigation, cleaning until the plants are packed and dispatched to clients. ​'My name is Wojciech Jotejko and I have been working for EVP for 10 years. I was working in Faversham as a general worker for three years and my main duty was taking care of irrigation system. 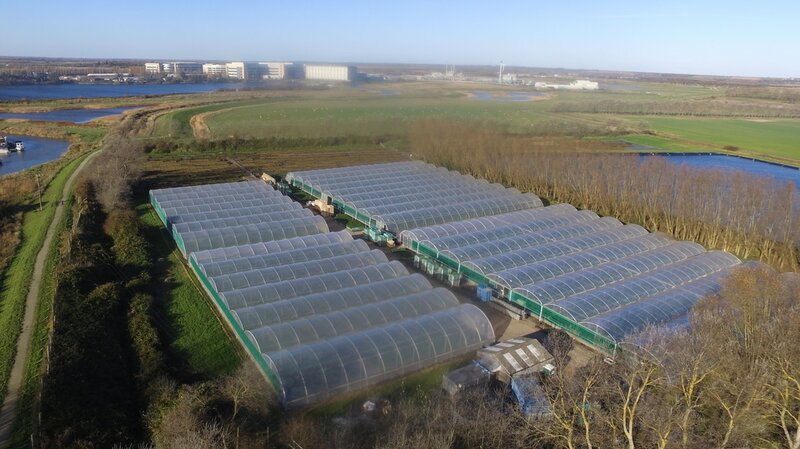 Ryhope Nursery is one of the smallest Edward Vinson Plants Ltd sites located in Warsash, a village in southern Hampshire, England, situated at the mouth of the River Hamble, west of the area known as Locks Heath. We produce here around 200,000 strawberry potted plants, 44,000 strawberry mother plants and 1.7 million strawberry tips every year. The busiest time at the nursery is summer when we have 20 staff on the site. ​Peak Lane Nursery is one of Edward Vinson Plants Ltd sites located in Fareham which is a market town at the north-west tip of Portsmouth Harbour, between the cities of Portsmouth and Southampton in the south east of Hampshire, England. We produce around 1.2 million strawberry potted plants, 620,000 strawberry mother plants and 800,000 strawberry tips every year. As well we have raspberry mother plants on site and we grow 1,260 raspberry mother bags, 40,000 raspberry plants per season. The busiest time at the nursery is summer when we have 16 staff on the site. Titchfield Nursery is one of Edward Vinson Plants Ltd sites located in Titchfield, a village in southern Hampshire, by the River Meon. 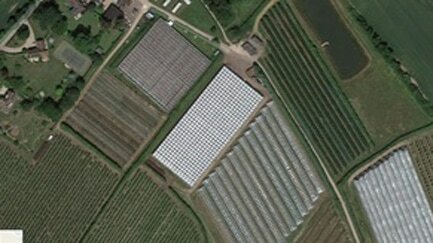 Here we produce about 1.2 million strawberry potted plants. 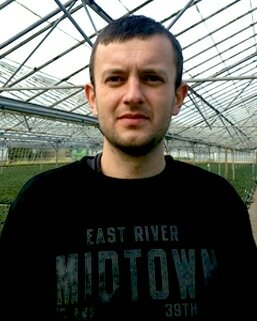 ​'My name is Dariusz Delekta and I’m the site Manager at Hempton and Boat Nurseries near Folkestone and Ashford, Kent. I started working for Edward Vinson Plants in June 2009 as a piece worker at Oaktree Nursery. During the last 6 years I worked at Ryhope, Peak Lane and Titchfield nurseries. I was one of the fastest piece workers in the company, maintaining very high standards in my work. 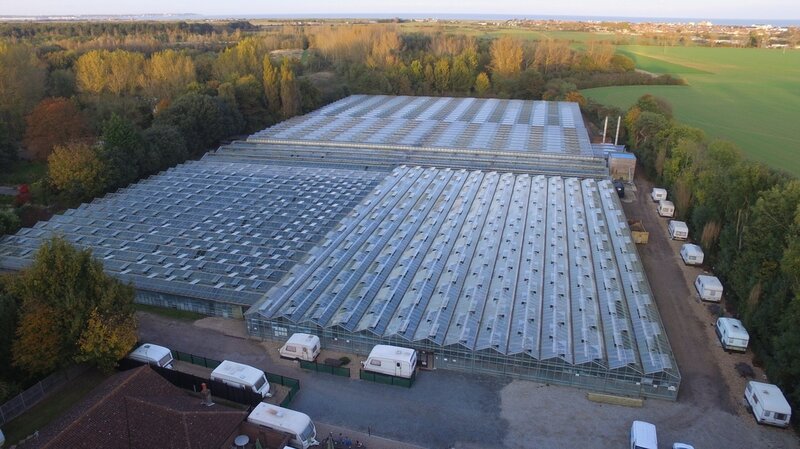 ​​​Hempton Nursery is one of Edward Vinson Plants Ltd sites located in the lovely village of Lyminge which lies about five miles (8 km) from Folkestone and the Channel Tunnel. We produce here around 1.4 million strawberry potted plants, strawberry mother plants and 1.6 million strawberry tips every year. The busiest time at the nursery is summer when we have 25 staff on the site and when we cut and plant tips. 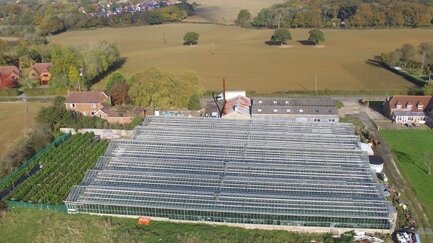 ​​Boat Nursery is one of Edward Vinson Plants Ltd smaller sites located in the dispersed village of Bonnington. We produce around half a million strawberry potted plants, 1 million strawberry mother plants and 150,000 raspberry mothers every year. The busiest time at Boat is in summer when we can have up to 40 staff from Hempton and other nurseries on the site to cut and plant tips. ​Depending of the season we have between 40 and 80 members of staff working at Sandbanks Nursery. We are busy growing 2,7 million strawberry plants, 1,2 million raspberry plants and about 90,000 blackberry plants here so we don’t have a quiet season and have staff working here all year round. ​Amery Court is in the village of Blean just outside Canterbury. There is a 1 Ha glasshouse where we grow 750,000 strawberries and 1 ha of outside ground where there are 12,000 raspberry mother plants. EVP is investing in a new biomass boiler and better flooring. More outdoor ground will enable us to grow 2.5 million raspberries during spring 2017. 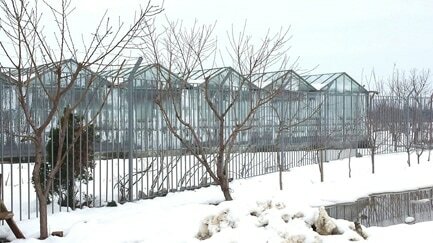 Lozen Nursery is near Pazardjik in the south of Bulgaria. During the summer months, we require more than 100 staff everyday to cut and pack strawberry tips to send back to England.